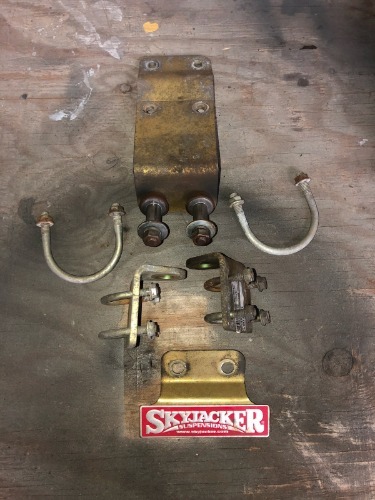 Here are the mounting brackets for a Skyjacker dual steering stabilizer. These will fit 07-18 JK and JKU. Included is the axle bracket, two 3/8" x 2 3/4" x 3" u-bolts, front plate, driver & passenger side tie rod brackets, and two 5/16" x 1 1/2" x 2" u-bolts. This may fit other models or years, please check your application. Used parts are expected to have some wear, surface rust, scratches, etc. Be sure to check out the pictures!